I’m a fresh momma of a tripawd. We rescued a 1.5 year old(ish) labxchow this week who’s previous owner had chained him up outside for his whole short life and, when he escaped and was hit by a car, chained him back up instead of taking him to a vet. By the time he was rescued, it was too late for his front right leg and it and was amputated. It’s only been a week since we adopted him (and about two months since surgery, I’m told), but our little creature has inspired me with his optimism and enthusiasm. I’m looking for recommendations from other tripawd parents for tips, tricks and possible therapy (Swimming? Acupuncture? Massage?) that will help a little man who has had no luck get back on a three-legged track. Hi and welcome! Thank you for saving that sweet pup. What’s his name? He’s so lucky to find you! You ask great questions l! Have you checked out the Tripawds ebook Loving Life On Three Legs ? We have tons of tips there and also in the Tripawds Gear blog especially. My best suggestion is to have him evaluated by a certified canine rehab therapist who can show you the best kinds of activities that will keep him healthy and injury free. The best part is the Tripawds Foundation will even pay for your first rehab visit ! oh another tip: keep him slim! Any excess weight on a Tripawd is detrimental. Love him with fun and games, not fattening treats! I will be back soon when I’m at my laptop. Stay tuned for more feedback from others! Hi to one of the luckiest Tripawd labxchows evah! Bless your big heart for taking in this super fortunate puppy! We would love to see pictures of this brilliant boy! What’s his name? They do manage to do that for us don’t they?! It’s amazing how they just get up and hop on in life! They sometimes forget that they’re only on three and do need reminding sometimes! It sounds like your new pup is getting on super well into his recovery. Yes, yes and yes to all of the above…! If you can and when you can! I think it’s incredible that Tripawds will cover your first rehab visit ! Stewie is our 100lb Bernese/RottyX, who had his front left leg amputated in July. We live in a very small town, (with no direct access to animal rehab.) We have however found an acupuncturist who works (for donations to our local animal society) on pets. Stewie goes once every week to two weeks and we find that he licks at his incision site far less often. We think that he suffered from some phantom limb pain and we don’t see any more sudden jumps or yelps. This person also does Ortho-Bionomy treatments on him, to help keep his spine aligned. We do believe it helps. He certainly loves the treatments too and sleeps like a horse after! Another major advantage and necessity, are rugs, rugs and more rugs! 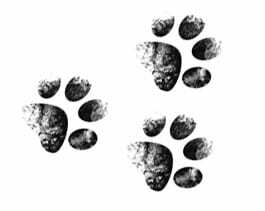 If you have slippery floors or steps, give your pup traction wherever possible! Hey, right back atcha! We’re all here for the same reason…. we love our fur babies to the moon and back right?! All the very best from Petra, Stewie and his Pride Of kittens. Hello, welcome, and congratulations on your new pack member! I adopted my current Tripawd when she was 10 months old, Elly was hit by a car at 7 months old and lost her right rear leg as a result. I was also her 4th home at 10 months old so she had/has some issues. I have taken lots of classes with Elly to boost her confidence. I also find that since most of the classes have ‘homework’ we spend time practicing our skills which burns up some of her energy and also helps us bond. Classes include Basic Obedience, Shy Dog, Strength, Balance and Body Awareness, Tricks, CGC Prep, and Nose Work. We do some type of balance, core strength, or food game/puzzle nearly every day. The food puzzles challenge her mind and provide a fun, low impact way for her to work on her balance and strength. We have been doing Nose Work for almost a year now. She really loves it and it has helped her confidence immensely. If you don’t have access to classes you can still work on obedience, tricks and nose work at home. There are also tons of food puzzles and games available or you can make your own. I used to feed Elly her breakfast in a puzzle ball and she still gets a treat bottle or ball most nights after we do our exercises or skill practice. Just be careful about the calorie intake! I account for all the ‘extras’ Elly gets through our games and practice by reducing the size of her meals.